A happy Krishnashtami namaskars and vanakkam to one and all ! Generally speaking, in all children’s classes of subjects ranging from secular to spiritual, the teachers are adults. Adults teach children. Does an adult also learn from a child? Yes, on innumerable situations, I have found it to be true. Inter-action with children, during our classes on Hinduism, brings great delight in the quick responses from the children. Once when I was watching a religious class for children in our Pietermaritzburg Sub-centre, the teacher posed the question: Where is God? Pat came the reply from a child: Where God is not? The child’s reply was apt. 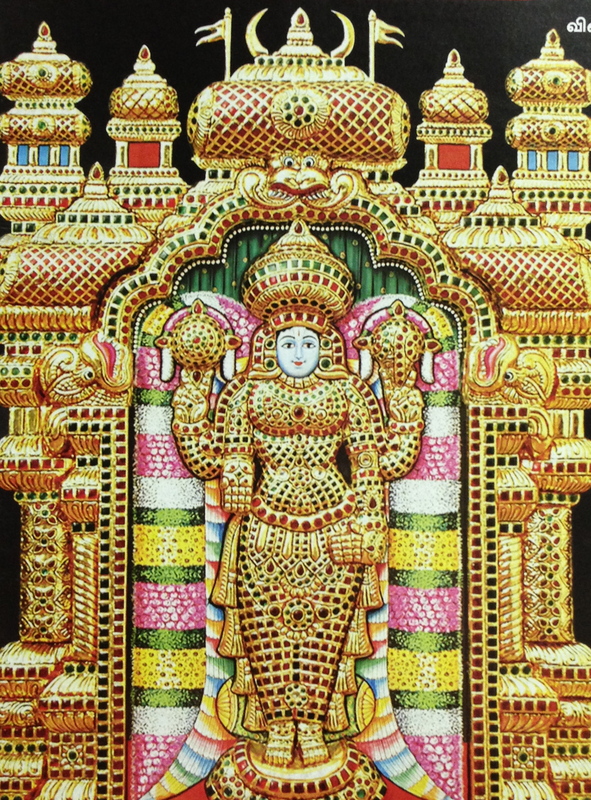 “Vyaaptatvaat Vishnuh” – Vishnu is one that permeates. As Narayana, He is everywhere. The fifth verse of the famous Narayana suktam says, “yaccha kinchit jagatyasmin dhrishyate shrooyatepivaa | antar bahishcha tat sarvam vyaapya naaraayana sthitah ||” In this universe whatever heard, whatever seen, Narayana resides inside and outside permeating everything. When the demoniac dad Hiranyakashipu questioned his Vishnu-devoted son Prahlad in anger, “Where is your Vishnu?” the popular Tamil saying of his reply goes thus: “thoonilum iruppaan, thurumbilum iruppaan” – He remains in this pillar and also in the particle. Whether big or small the Lord is in everything. The Upanishads say proudly “anoraneeyaan, mahato maheeyaan” – minutest of the small and largest of the Big. Prahlad is a shining example of child teaching an adult. Arjuna asks Lord Krishna how will he meditate on God because he doesn’t know in what several aspects the Lord can be thought of. So he requests Lord to tell him about His yoga power and divine glory. Arjuna knew very well that there is no satiety in listening to the glories of the Immortal Lord. So, answering Arjuna’s question, Lord Krishna in the Bhagavad Gita starts explaining how in different forms the Lord has manifested. One such is the plant life. He says “of all trees, I am the aswattha (banyan)” (10.26). A brahma-jnani, a knower of Brahman sees everything pervaded by God. Swami Brahmananda, true to his name, derived bliss in seeing all around Brahman everywhere. His love for beings was unconditional. His compassion for trees, plants, flowers was extraordinary. While he fed the dogs of the Belur Monastery, he visited regularly the dairy farm and supervised the seva to cows. He was the first to initiate planting of certain trees and plants in many north-Indian centres with that of grown or seen mostly in south-Indian places. One such tree was Nagalingam flower tree. Usually in the morning hours he was seen going around the garden and instructing monks and brahmacharins how to keep the plants healthy and what type of fertilizers to be used for them and how well they could save from the destructive pests. Later, while staying in Bhubaneshwar Math, he said to the monks there: “Trees have life. If you serve them you will feel it. They will never become ungrateful. I once asked my revered Gurudev Sri Swami Nirvananandaji maharaj how was his Gurudev Swami Brahmanandaji would view the entire cosmos. He said to me that his Gurudev would ‘feel’ with his mystical eyes that cosmic worship was always on. “What are you doing? Do you want to make that tree devoid of flowers? You think Sri Ramakrishna is seated only in the shrine and does not come to the garden? Pick those flowers only which are hidden behind the leaves and always leave some flowers outside in each tree.” To Brahmananda Maharaj, those trees also were worshipping the cosmic God with their blossoms! Very grateful for “Adoration of All- in- one”. I am totally enthralled reading your blog. Every article of yours makes me hold my breath tight till I finish reading. Physically I am so far away from you that the air which touches you never comes to me, otherwise I would have been liberated long ago. Glory to the devotees of the Rainbow country! Your hearty appreciation for the posts that I scribble at my leisure is just overwhelming! Well, I don’t really deserve such encomiums. On 23 January 2008 when I started this WordPress blog, on reaching the shores of Durban in March 2007, I never knew that it would attract so many readers. In these five and half years it has received 1 58 284 ‘hits’. In the religious blogosphere this blog stands first rank from SA. I consider the success is undoubtedly due to the Grace of the Holy Trio who utilise this platform for their glory. And reader-devotees like you are playing a predominant role through this inter-active comments feature in providing me ideas and enthusiasm to write those ideas unceasingly. May the omnipresent Lord awaken us to His immanence! Revered Maharaj on this blessed occasion of Krishna Ashtamee Week! It is indeed a beautiful article and we always remember this awe-inspiring story of Swami Brahmanandaji when plucking our flowers. Such was Swamiji’s compassion and lesson even for the plant kingdom. We are always blessed to hear and learn of Their divine glories. It is defintely true that we learn many lessons from our young children who many a time actually teach us about God. Such is their innocence, simplicity and faith. My Humble Prostrations and Pranam! My greetings too on this auspicious occasion of Krishashtami! Swami Brahmanandaji is an Ishwarakoti as declared by Master Himself. Every incident of his life stands as an example for all of us – jivakotis. The more we take up intensive study of lives of these wonderful Direct Disciples of the Master, the more we would learn. So many gems of Truth are hidden. Yesterday I was reading Swami Shivanandaji‘s reminiscences and I was wonder-struck at the reasons that he gave to his initiated disciple why he looked everyone as God. I think I should place those thoughts in my next post. Please accept my humble Pranam! Happy Janmashtami to you and Pranam for the same. This article was interesting indeed! I think God is not present in everything, rather “GOD IS EVERYTHING” !! Welcome to your comment. Indeed true. But you see God IS present in everything but at the same time when you question from where all these things have sprung up, our sages say that God has become everything. Taittiriya Upanishad (Ch V) says ‘tat shrishtwa tadeva anupravishat’ Having performed tapas, he brought forth all this – whatever there is. Having brought forth he entered into it. What a wonderful idea! No doubt flowers worship the Lord as Swami Brahmanandaji used to say. You have given a visual commentary to Rakhal Maharaj’s words! Thanks for you appreciation for the slideshow that depicts the wonderful flowers in charming colours. Sometimes when I walk through our temple garden I see these flowers. They remind me of these great saints’ life. My Pranam and Aum Namo Narayanaya to Maharaj. Thank you Maharaj for transporting us to that very Kalpatru tree. I am imagining an ocean of nectar in the lotus of my heart and within it an island of precious stones, and in the midst of it, this wish-fulfilling tree. I am visualising Sri Ramakrishna seated at the root of this very Wish-fulfilling Tree. 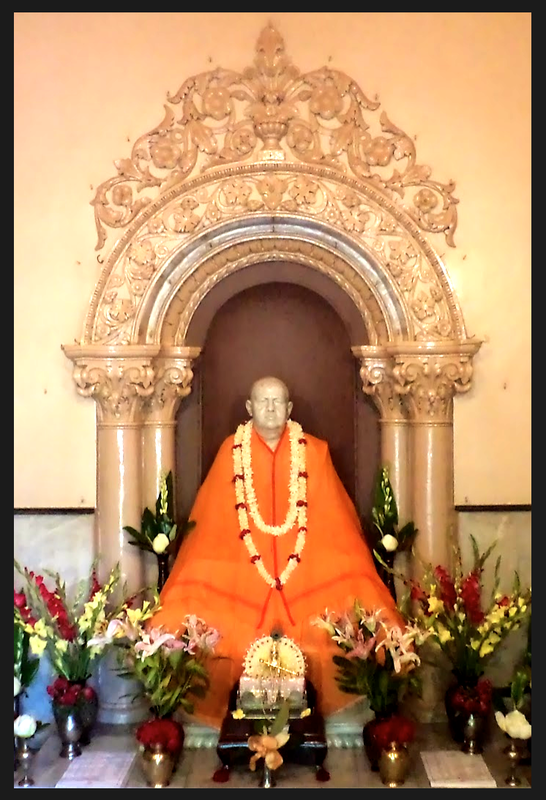 Thank you Maharaj for planting this seed of the Kalpataru Tree in our hearts! Many thanks for alluding to Kalpataru! When I went to Durban Botanic gardens in 2007, just after my arrival in this country, I was amazed to see this grand banyan tree. Looking at it, I too felt the same thought of Master seated under the wide-spreading shade of its branches. In our temple also a painting of a banyan tree has been placed behind Master to give the feeling that Master is seated under it so that devotees can visualise the manasic pooja method within. Please convey my hearty thanks to your husband Jody Fuchs who promptly sent me 66 images of the banyan tree though I required only 6! Wide variety to choose, perhaps! I trust that you are high spirited as we near mid-Gita week. The vibrations seem to gain momentum as we near the finale. Thank you for this insightful information. I sometimes wonder where can one store such a vast amount of information that becomes so readily available when the appropriate question or comment arises. Your references and explanations are much appreciated and it makes understanding certain concepts so much easier. Best wishes for the remainder of Gita week and I look forward to your company soon in Ladysmith. Many thanks for sharing divine thoughts with us. Please accept my sincere pranam! All your blog posts are so very informative and so nice! Such a big Banyan tree! Cosmic worship through flowers! Happy to find our Gurudev’s question.